Californians, survivors of domestic violence need your support. In just one day in 2017, 5,724 survivors received support services throughout the state. This staggering number could fill up the California legislature 48 times over. But that’s not where the story ends: there were an additional 692 unmet requests for services due to a shortage of funds and staff capacity. Enduring homelessness, isolation, injuries, and poverty, survivors and their children struggle to heal—and when they can’t access critical support services, the healing process becomes a steeper climb. 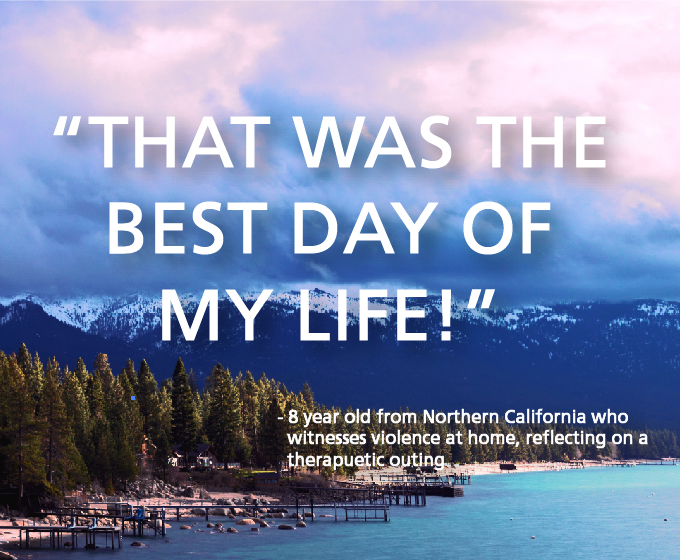 In California, we strive to take care of those most impacted by violence. We work toward a vision of strong communities with the capacity to respond to every survivor in need. With your voluntary tax contribution to the California Domestic Violence Victims Fund, it’s never been easier to make a direct impact on the most vulnerable survivors in our state. Your donation can be made directly through your individual tax return, and helps domestic violence programs meet the needs of survivors and communities across California. The money will be distributed by the California Office of Emergency Services to non-profit domestic violence programs that provide lifesaving services every day. The California Domestic Violence Victims Fund is included in your tax forms as a voluntary contribution line item on Form 540, Side 4, Line 14, Code 433. We’re asking every taxpayer to donate at least $20 to help us reach at least $250,000–the amount required to stay on the tax form each year. Together, we raise the funds needed to reach every survivor—every time. Be part of this moment in history! Explore the resources below to get started. A: The money will be distributed by Office of Emergency Services to non-profit domestic violence programs all across California. These programs provide lifesaving services every day, and you can read more about the work they do and the need for funding here. Q: Where can I find this on my tax form? A: The California Domestic Violence Victims Fund is included in your tax forms as a voluntary contribution line item. It is on the Form 540, Side 4, Line 14, Code 433. Q: How do I find this if I’m using a tax preparation software like Turbo Tax? A: Towards the end of your return, you’ll find the voluntary contributions on the very last set of items to check for your state taxes. Click on California Contributions, and it will bring you to the page titled Donate to Special Funds. Simply scroll through the list until you find “California Domestic Violence Victims Fund”. Click here for an example of what the page looks like. If you aren’t prompted, a quick search in the tax software should help you find it. Be sure to include the donation before you finalize your tax return! Q: Do I have to donate when I do my taxes? A: To support this fund, yes. You will need to include the donation with your tax return. We also encourage you to continue your support to any local, state and national organizations that you may have contributed to in the past, and make this donation a part of your annual giving. Q: Is there a minimum amount of contributions needed each year? A: To remain on the tax form each year, we will need to raise a minimum of $250,000 in donations. That may sound like a lot, but with your help we can do it! There is no minimum for how much you donate, and if every taxpayer donates just $20 we will reach the $250,000 threshold in no time! Q: What happens if you don’t raise that much? A: If we fail to raise that much each year, the Fund will be removed from the tax form. Help us make sure that doesn’t happen! Q: What if I have more questions about voluntary contributions? A: You can visit the Franchise Tax Board’s Voluntary Contribution Funds Frequently Asked Questions.